A ddress Integrity is vital to your business. The value of your database and the strength of your mailing lists depend on your customer contact information being accurate. This data, however, deteriorates over time for many reasons, including keystroke errors, customers moving, or ZIP™ codes being added or changed. 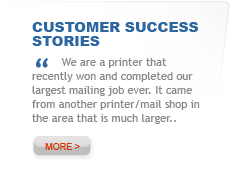 If you appreciate the power of accurate data, you’ll appreciate the power of AccuMail. Significant resources are spent acquiring, retaining and servicing your customers, and the quality of your data plays a critical role in how well these functions are performed. According to the USPS®, every year there are over 47 million change-of-addresses filed by individuals, families, and businesses, as well as the creation of almost 2 million new addresses. Add in the keystroke errors and omissions in new addresses collected on a daily basis, and it's easy to see how your address data deteriorates quickly over time. 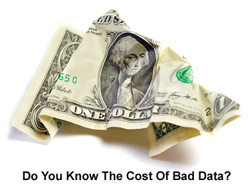 Organizations with poor controls over address quality often face critical issues that affect their bottom line, both directly (increased costs) and indirectly (the impact on service and reputation). Best practices for managing your customer data should involve an address quality program, for both existing data and at the point of entry for new data. AccuMail frameworks provides you with all the tools you need to ensure the address quality of your database. 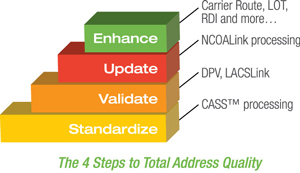 Address data may be said to exhibit Total Address Quality when it meets three conditions - it is Complete, Correct and Current. Complete addresses contain all elements for your mail to be delivered, from street numbers to the ZIP + 4® code. Correct addresses not only contain all the right address elements but are also actual validated deliverable addresses. Current addresses take into account whether the addressee is still at the same address that their mailpiece is addressed to. Certified for accuracy by the USPS, AccuMail frameworks give you the confidence that your data meets the highest address quality standards. AccuMail frameworks not only cleans the address data in your system to meet the very latest Postal Service standards, it automatically takes you through the four steps to achieving Total Address Quality. Correct, parse and standardize your address data by comparing it to the very latest USPS data, adding ZIP+4 info and highlighting possible costly duplicates. With built-in DPV® and LACSLink® you can be sure each address is a deliverable location, conforming to the latest USPS addressing standards. Plus, integrated SuiteLink adds missing suite numbers for business addresses. 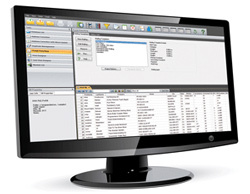 The optional AccuMail Move module utilizes the latest NCOALink® data from the Postal Service to update the addresses of any movers in your database. With every new purchase of AccuMail frameworks we are now offering 30 days free Move Update processing with AccuMail Move. Please mention this offer when ordering. 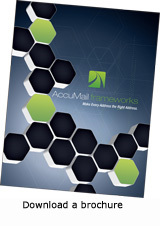 So put AccuMail frameworks to work for you today and maximize the value of your customer address data.